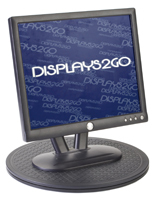 15" Swivel monitor stand supports dead weight of 330 lbs. 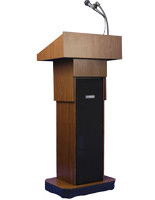 Black rotating base ideal for use by employees interacting with customers. Monitor turntable rotates 360° for full range of view. 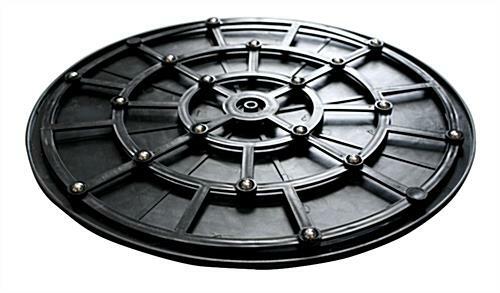 Non-skid rubber pad is also scratch resistant for years of use. Perfect for employees that speak with customers at their computers! 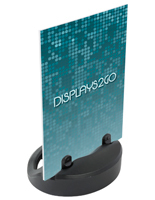 This monitor turntable, or swivel monitor stand, is a great addition to any customer service counter or help desk. 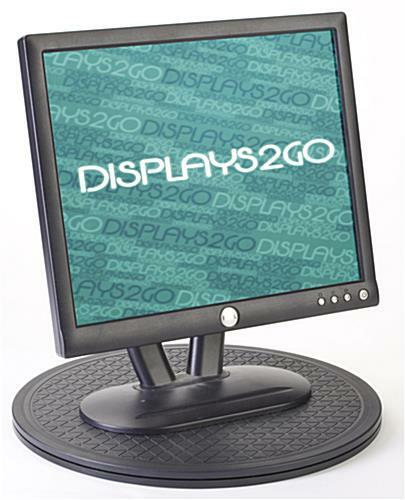 The black base is commonly used to share information with patrons on an LCD or LED display. Each computer screen turntable spins around smoothly and can support a dead weight of 330 lbs. 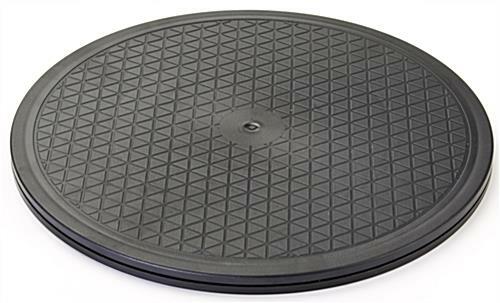 The spinning base has a 15" round, 11/16" thick design that can easily be placed on any service area. 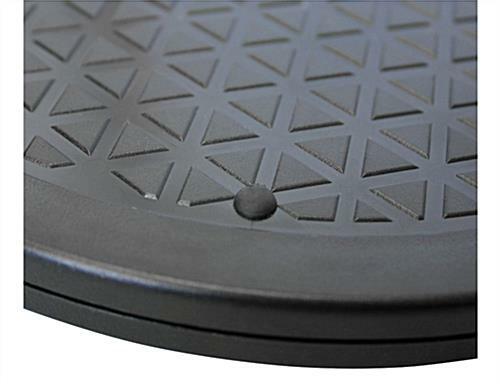 Strong polycarbonate construction ensures that the turntable will last for years to come. 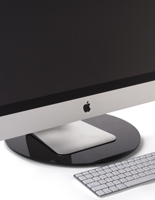 The top of the monitor swivel has a non-skid, non-scratch rubber pad to grip items. 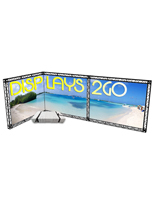 The rotating base spins a full 360° to allow viewers to see from any side. 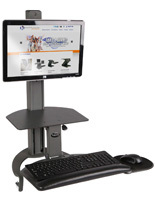 The rotatable flat screen stand can be used at home or at a business, but most are found on customer service counters and help desks. The item is well constructed. 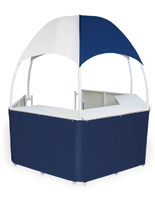 Sturdy plastic, non-slip. Turns easily and without making too much noise. Purchase tracking was accurate and item was received promptly.